Slice of Life: What do students need to know? What do we need to get them ready to do? Perhaps because I teach the last year of elementary school, I get asked these questions all the time. Perhaps because people believe this is the beginning of the end. The last year before middle school. The last year before the end of childhood. Yesterday, a group of students helped after school. They did the work I could have asked parent volunteers to do. Work that would have taken a teacher hours to accomplish. With a little instruction and my physical presence, students got two classrooms ready for a social studies field trip. They assigned teams, roles, and organized each class. They loved it. Even left a thank you note for the experience. Every year I give students opportunities to work independently. Times that they are responsible for something other than themselves. Times to work without a net. No scaffolds. The tasks I ask them to take on won’t result in disaster if they fail. It’s a safe way to try on independence. I believe that we inadvertently discourage independence. 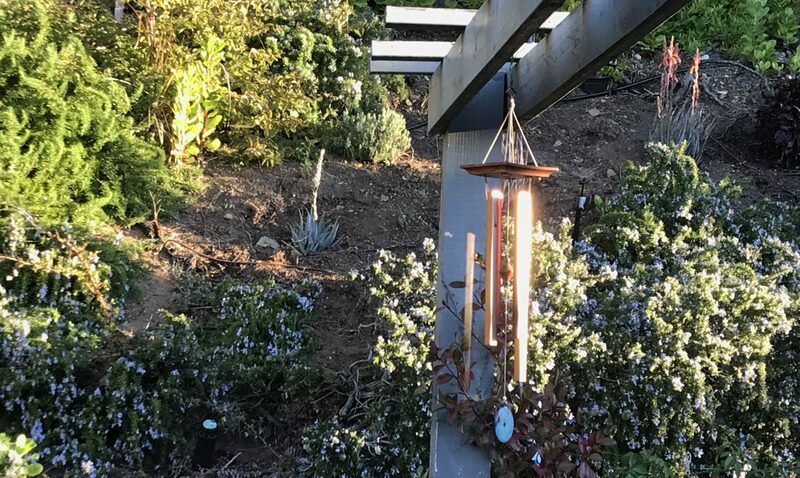 Our charts, our coaching, our prompts, our questions might be a necessary step. They could be tools that help students “feel” the sensation of success. They can allow for approximation. But could some of them also imply that they can’t do without us? We need to start asking, does our teaching create dependence? Trouble happens when students have no knowledge of, practice around, or instruction in what to do when we’re not there to ask, defend or problem solve. We need to provide independent practice. At home and school throughout the elementary school years. We imply belief when we allow students to try. They need to know adults believe they can do it, and the sooner, the better. 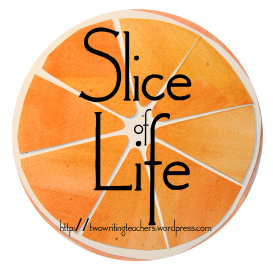 Thanks to Two Writing Teachers Blog for Slice of Life Tuesdays. Read more slices here. What an important concern. As I read your post I thought about my great teacher/director moments when I let kids take on the challenges of making sense of Shakespeare on stage. When I was tired and needed them to step up they never let me down and took the reins from me. We shared together. Always the best teaching I could ever do. I wish there was more of this encouraged and developed for all teachers. Right? The best slices always leave me with a strong feeling or something to “chew over” when I’m done reading. I’ll be thinking about your words today and about how I foster and hinder independence in my first graders. Thanks for the thoughtful post. I think about this a lot- what is a “must know”, what is a “nice to know”, and how to know the difference. As with every teacher what I long for is more time- somehow with more time I feel I could make better choices, but who knows if this is true! I wonder what our students think of as the “musts”. Yes! We need to show them that we believe they can and will succeed. That belief will foster true independence. From an early age our students take the responsibilities. Sometimes it takes a conversation or talking about how others have approached a task, but usually students do learn by doing. I enjoyed hearing that you had students do the prep, & especially that they left a thank you. That’s a message to us all! Independence, what a huge concept for kids to take on. Some teachers just don’t think kids are ready for it, but we will never know if we don’t give them the opportunity. Great ideas to ponder today. They learn by doing. We can’t expect them to become independent if we don’t give them the freedom and responsibility. All they do won’t be great, mistakes come along the way but that’s ok part of learning. I liked your thoughtful post. Thank you. Coincidentally, I have been wondering how much to dictate for an assignment and how much to let the kids just do independently. I have been thinking about our book club this summer and the notes I took and how we all read and took notes but ALL were so different. I want my students to create what works for them. Yet, do they need a guideline, a model, an assignment sheet, a graphic organizer??? Whatever, I do, I want to keep in the back of my mind – Am I encouraging independence?! Love to ponder with you from afar! It resonated with me, too! I just finished reading a book called How to Raise an Adult (AMAZING book for all of you parents out there!). The author recommended that if children can do it themselves or ALMOST do it themselves, we shouldn’t be doing it for them. Lots of times, we do things for children out of love. But, the harsh reality is that sometimes it’s more loving to allow learners some space to do it themselves, even when they can’t do it perfectly and there’s some struggle. That’s what moves them closer to independence and that’s the end I think most of us have in mind. Your conclusion is the best! Yes! We need to let them know we believe they can do it. Then hands off. Leave them alone and encourage them to stay with the struggle. So timely, Julieanne! How do we grow independence in our students and even in our own children. Keeping them tucked tightly under our wings is not the solution. So thankful that you are always thinking, my friend! I love this – yes, we need to give our students agency. They are capable of so much!